Sinusitis is a common condition in adults, and the Center for Disease Control and Prevention reports that over 12 percent of adults suffer from diagnosed sinusitis. At Chesapeake Ear Nose & Throat in Baltimore, MD, we offer diagnosis and treatment of both acute and chronic sinusitis. Our team of doctors can diagnose the cause of your condition and provide targeted sinusitis treatment to alleviate your symptoms and help you find relief. Patients have also reported that sinusitis feels like a cold that will not go away. 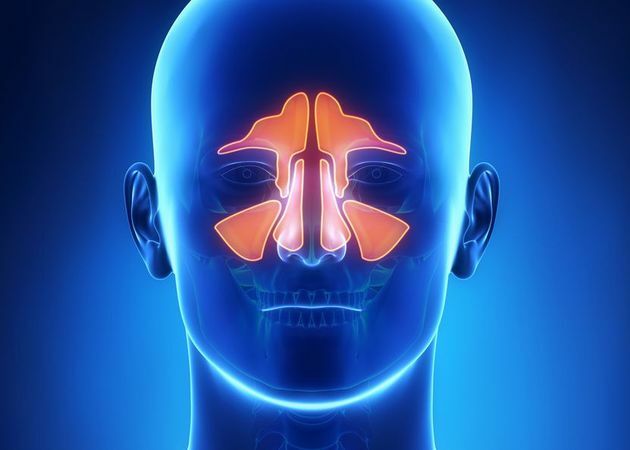 To properly diagnose sinusitis, one of our doctors will evaluate your sinuses using a special tool called an endoscope to look into your nasal cavities. Diagnostic imaging such as a CT scan or x-ray might also be used to gain a comprehensive view of the sinuses and nasal area. There are two types of sinusitis: chronic and acute. Acute sinusitis generally results from an allergic reaction or a common cold, and usually lasts between 10 days and eight weeks. Chronic sinusitis is generally diagnosed when symptoms persist for two months or longer. Chronic sinusitis may be caused by immune system issues or asthma. Some patients struggle with recurrent sinusitis that causes inflammation several times a year. If you or a loved one is suffering from sinusitis, our doctors can provide an accurate diagnosis and recommend a treatment that best addresses your specific symptoms. To treat sinusitis, your doctor will need to identify and treat its underlying cause, as well as your symptoms. We will perform treatment based on the specific severity and nature of your symptoms. If you have chronic sinusitis caused by a physical blockage such as nasal polyps or a deviated septum, surgery can relieve your symptoms. Polyps can be surgically removed and a deviated septum can be corrected with functional rhinoplasty. Like surgery, antibiotics are designed to treat an underlying cause of sinusitis. If our doctors determine that your sinusitis is caused by a bacterial infection, we will prescribe antibiotics to relieve your sinusitis symptoms. Antihistamines and other types of allergy medication may be prescribed if your sinusitis is caused by allergies. Decongestants relieve congestion in your nasal cavities. These medications can open nasal blockages, but will not treat underlying causes of sinusitis. Steroids help reduce swelling in your sinus tissues. Like decongestants, steroids are not designed to treat the underlying cause of your sinusitis, but rather mitigate your symptoms while other treatment options are explored. If you or a loved one is suffering from sinusitis, our doctors can provide an accurate diagnosis and recommend a treatment that best addresses your specific symptoms. Call our practice at (410) 356-2626 or contact us online to schedule a consultation at one of our offices in Baltimore, Owings Mills, or Westminster.